When I was a pre-teen I belonged to a Christian church called the Church of Christ. I was never sure what denomination we were as I was always told we were just Christians. It was a small unassuming church and congregation. There were no pews; we sat on uncomfortable folding chairs while the pastor Larry Wilkenson stood before us behind a small podium. It was a pleasant experience is some ways. I remember eating lunch with Larry and his wife after the Sunday service. They had no children of their own so they doted on me as if I were their only grandchild. The members of the church were country folk who had strong ties in the community and with each other. The down side of this church was their unwillingness to consider other denominations as true Christians. I was not allowed to play with the Catholic children near us, nor was I to in anyway admire Mother Teresa or Gandhi (who is my ultimate hero). This and other reasons are why I gave up the faith. I do not know what I believe now, but I do believe if there is a g-d then I doubt he would bare people who do good from entering heaven simply because their dogma was “off’ somehow. Anyway, one day as Larry spoke I became bored like most 12 year olds are apt to do. I sat staring at our large Jesus on the Cross above Larry. It struck me that Jesus looked awfully European for someone who supposedly came from the Middle East; I have family who are descendant from the area and do not look like Jesus did. Because I was 12 and came from a small American town I assumed all people started out white and over time became darker. This was my only explanation for Jesus’ look. The question of “which color came first” stuck with me in my early twenties. Because I flunked out of college (not because I was not college material, rather I made poor choices in life) I did not know about evolution or human migration. When I found out we most likely started out in Africa the question then turned to “when did Middle Eastern people become darker than Jesus? Being a waitress I had a lot of time to think about this and try to form an educated reason for a white Jesus that seemed to be in every picture and cross I saw. As a nation we tend to view darker people as “others”. We are suspicious of them and tend to treat them as inferior. We did this in the past and now see our nation divided on whether our 44th president is black, white, Christian or Muslim. We are scared Hispanics will take all of our jobs or that they will be outsourced to India. Many Americans try to place personal woes on these “others”. But what if we had always seen Jesus as darker than us? What if we accepted the fact that our savior was non-white? Would we be as suspicious or would be a lot more tolerant of other cultures? I will never forget a caller on the Donahue show who screamed “Jesus is white, he is white!! !” Her obvious fear that her personal savior might possible be an other, tells me we may in fact be a different nation had we always accepted that Jesus was darker than we are. In this day in age we should know better. 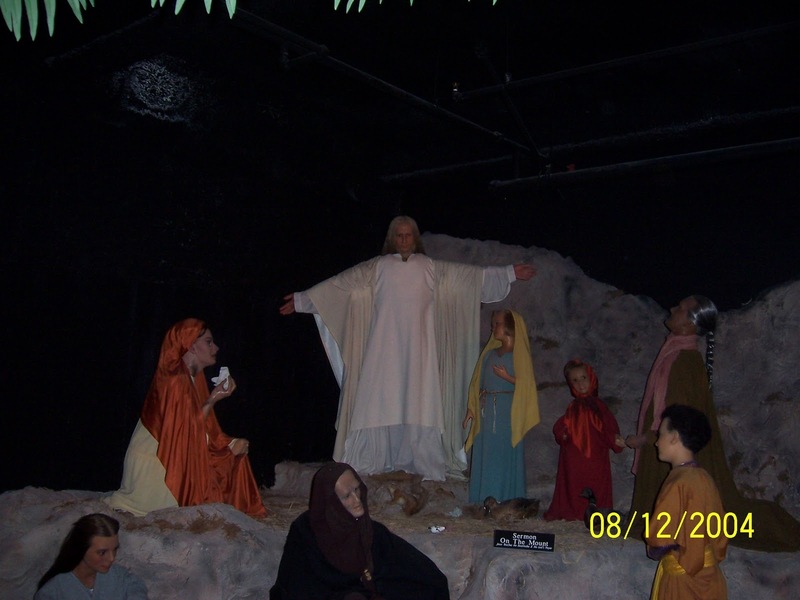 This is why when I saw these wax figures at Fisherman Warf’s Wax museum I was disappointed. Jesus and those who followed him do not look Jewish, nor do they look Middle Eastern. These figures are very European looking. We need to teach our children this is not really the case. They need to know darker people are not other and that the man behind the Christian religion was not white. Brilliant post! I remember this subject being brought up when I was younger. Perhaps I was just lucky to meet the people I did but some I spoke to would say that actually Jesus wouldn't have looked as he is portrayed.I guess that's the reason he's still white – because not enough people nowadays realise, it's traditional now to have him white, and of course there are still people around from a time when racism was quite acceptable.I've never thought of how people would be had it been adopted from day one, but you're right, if Jesus had been portrayed as middle eastern perhaps there wouldn't have been so much racism. Thanks Charlie,This subject is really getting to me; enough to make me want to explore it further. Perhaps a book is in order?Thanks for stopping by and leaving a comment. When I was a student Joel Carmichael’s The Death of Jesus had a great effect on me. 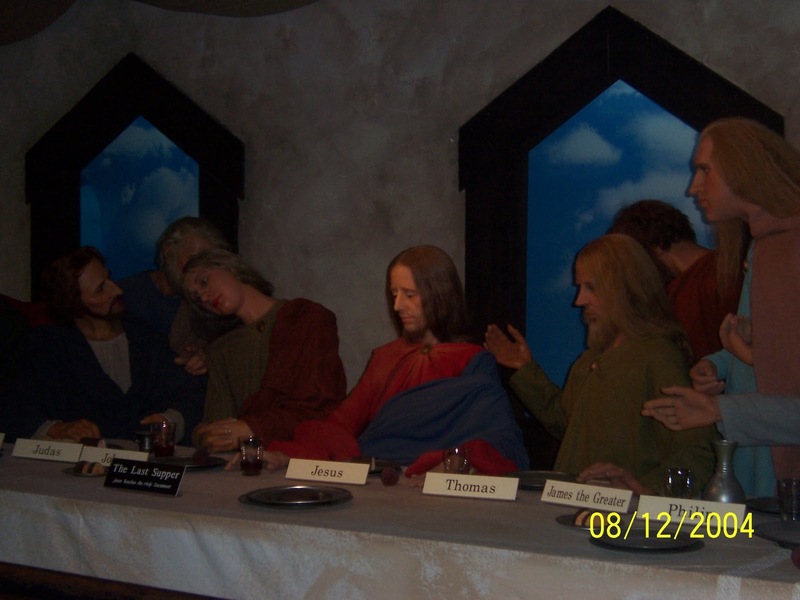 Later E P Sanders’ The Historical Figure of Jesus and a couple of pieces by Geza Vermes put Jesus’ period and likely appearance in greater context. That’s the advantage of having some historical perspective I suppose, unlike many religious fundamentalists who get their fundamentals wrong. Previous Previous post: San Francisco Arcade Musuem. Execution was fun!